Start your child’s life off right with a natural, healthy and supportive place to sleep. Children sleep a lot (we hope) and giving your child a customized, hypoallergenic mattress for a perfect sleep is a wonderful gift. 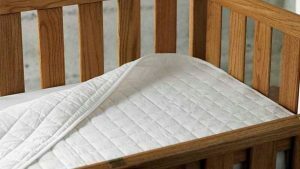 Introducing Sleep Boutique Custom, Organic & Natural Crib Collection Mattress. Pricing is approximate and may vary depending on chosen materials; estimates are shown in Canadian Dollars (CAD). Generally the USD price will be 15 – 25% lower.